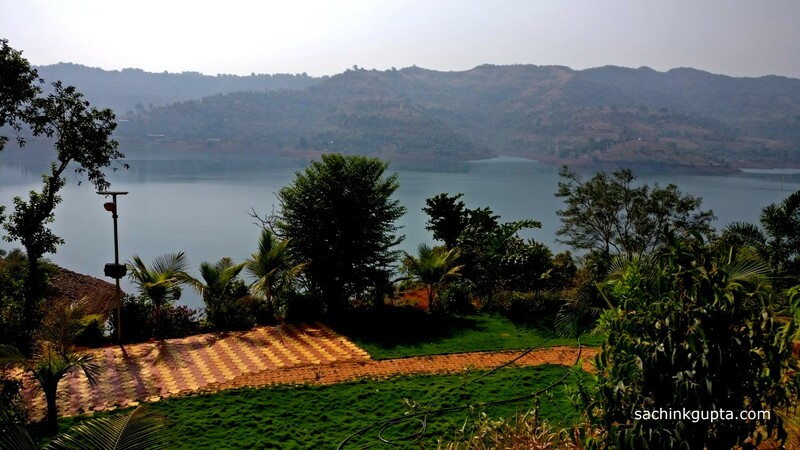 If you are looking to escape the city life somewhere near Pune or Mumbai in Maharashtra? Need a much needed break from the traffic and crowded streets. 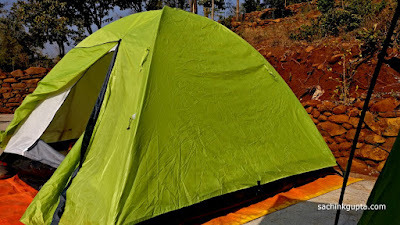 Camping near Panshet is the place to head off to for a weekend break or even mid-week outing. Enjoy the experience of sleeping under the open sky by the Panshet Lake. Panshet is a beautiful night camping site in the open, under the twinkling sky. 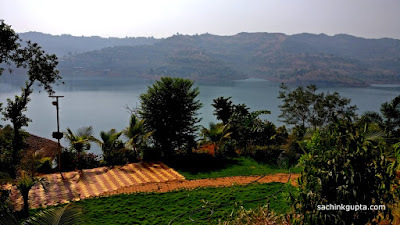 Panshet is quite close to Khadagwasla dam, and approx 50 km from Pune, and approx 150 km from Navi Mumbai. The travel from Khadagwasla to Panshet itself is one of a kind where most of campers and photographers don't sit inside the vehicle but prefer to stop at time to time due to amazing surroundings. We started from Pune and reached here in 3 hours including multiple breaks. We choose Panshet Eco Village camp-site near Surya Shibir resort, which is still developing. This itself was a great experience. As soon as we reach the place, we had splendid views of the lake. Soon we got set up our camping tents, mats, and started the bonfire for the night camping. Soon after sunset, the real fun begins around 8 pm. We got our evening snacks ready and temprature started to drop. Everyone free to enjoy the evening as we want. Sanjay also bring his Guitar along-with him, and Chanchal his open-air speakers. We sing and dance at time to time and prefer playing music from our phones as per choice. We also had time to photograph at times, and enjoyed star gazing and bonfire till midnight. Everyone had dinner as and when we feel hungry. We also see few shooting stars during the night. If you have your telescope with you, This place is good to observe the constellation of stars and planets. Please note that it becomes quite cold in night, and during winters temprature drops a lot, so carry woolen clothes and blankets is very important. The tents we got were new, and good quality. We have nets inside, so we opened few zips of tents, that keep flowing fresh air all the time. Few of us just slept for 2-3 hours and wake up early to adore the beautiful sunrise by the lake. We enjoyed it fully and had few clicks as well. Later we had our breakfast, and stayed there till 11 AM. The best time to do camping at Panshet is October to March. Avoid during the monsoon. Panshet is also very safe place to camp out in the open since there is no wild animals or even snakes around the place. But still be aware of surroundings, for your own safety. Swimming in lake is prohibited, but boat tour can be enjoyed after the sunrise. Our full group was full of energy. Really enjoyed the night and day throughout. Looking forward to more of these adventures to come. 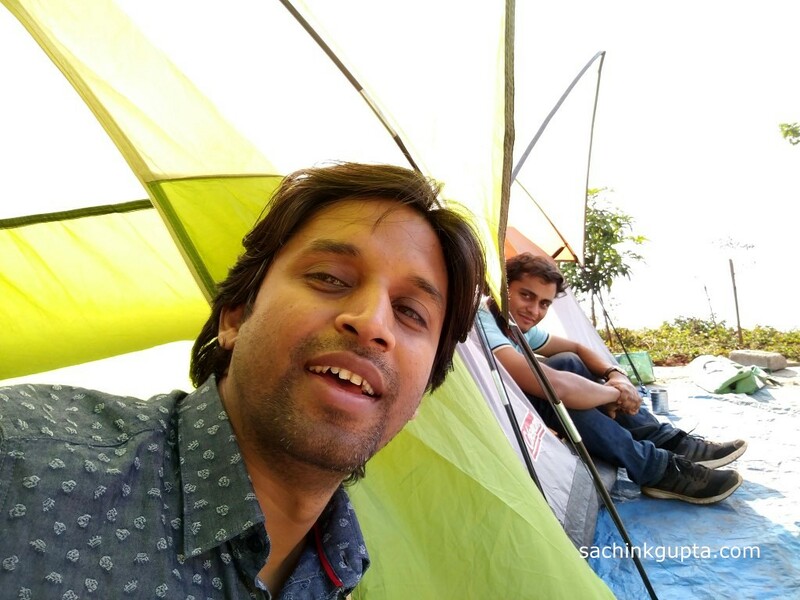 Very nice details about camping near Pune and Mumbai. Love to do this soon. Amazing photographs and helpful site to visit places in Maharashtra. compare to other parts of India, night camping can be easily and safely done in Maharashtra. People in Maharashtra are amazing, they love to travel and camp round the year. I have done approx 10 night camping at different places in Maharashtra so far. Very nice written in detail, and very nice photography. It would be helpful for the campers. Very imaging photographs n places. If i m coming from Kolhapur, how long does it take. Is there any bus going to this place? els e I will rent a cab. Please provide details about the palace.